The easiest, safest, most versatile parting tool you will ever use. With perfect geometrics built right into the replacement cutter, you never need to worry about the fuss of sharpening. 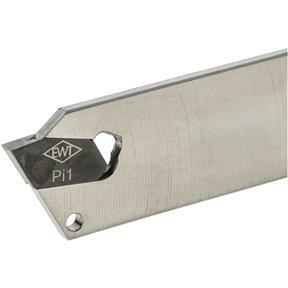 Genuine EWT Carbide Cutters cut wood much cleaner and stays sharper longer than HSS tools. Insert release key included, the handle is a comfortable 14" maple. Cut width 1/8", blade is 3/32" x 3", tool bar length 6". 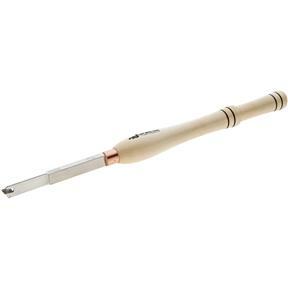 Includes one extra Pi1 carbide cutter.